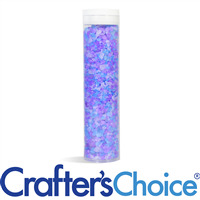 This is a great tube for bath salts! Holds approximately 6 ounces (3/4 cup) of medium grain bath salts. The 65 x 55 shrink wrap band fits this container.